Archaeologists have found the road mainly intact and discovered various antiques including metal spears, stone cannon balls and ceramic objects from the early period of the late Ledynasty (1428-1527) as well as architectural ornamentation from periods. 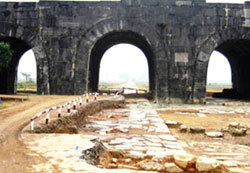 Researcher and director of the Ho Citadel Preservation Management Centre Do Quang Trong said the good state of the road was thanks to the time and energy the original builders put into construction. The road has been listed in the heritage file of the citadel to submit to UNESCO by the International Council on Monuments and Sites, a professional association that works to conserve and protect sites of cultural heritage around the world. 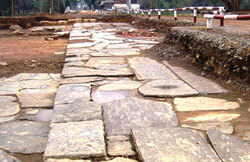 The association hoped the road would be listed among the oldest stone paths of royal citadels in Southeast Asia.